Now you’ve got your new tattoo, the next phase is the healing process and the aftercare. This step is very important, and there are various tattoo aftercare products available on the market to help you. Following a good aftercare routine is of paramount importance. You have invested both time and money on getting the tattoo, so you don’t want to see it spoiled by poor, or nonexistent, aftercare. This guide will show you some of the best products out there that you can use, and how you need to care for your ink properly, to maintain a great looking, well-healed tattoo. When you’ve had your tattoo done, you want to protect your ink work properly. However, this is not the only thing to think about. What you have had done is actually considered a medical procedure. The artist has been working on your skin, piercing it repeatedly with needles, to get the ink inside. Getting a tattoo is creating an open wound. With any open wound, you become vulnerable to all sorts of bacteria that can cause an infection. To prevent any complications in the tattoo healing process, a good aftercare regime is vital. Most tattoo artists will give you some great aftercare advice. After all, it’s their reputation that’s on the line when the piece is fully healed. It’s generally in their best interests to make sure you, as the client, take care of their work well. However, it is important to also be aware that some states don’t require artists to give this information. The first few weeks after having your tattoo, your body will work to heal the area on its own. You can help speed up this process by investing in a good aftercare ointment, or even a kit. Choosing the right lotion, kits, and products to use is easier said than done. There are so many aftercare products to choose from, and each person you speak to may give you different advice. Some of the lotions you are recommended could do actually more harm than good, so it’s important that you choose the right ones. It’s also best to stick to the specialized lotions that are designed for tattoos. These help a tattoo heal well and will include the ingredients and nutrients needed for the process. You should find a product that will promote the healing and provide a good level of hydration to the skin. The ingredients in your products are an important component to how effective the lotion works. Look at what it contains, and read up on how effective those who have used it before think it is. Some may be a little expensive, but surely you’ve paid a fair few bucks for the ink itself. You don’t want to scrimp on the aftercare and end up with a dull and patchy tattoo. This could end up with you being back in the chair, getting a touch-up once it heals. Most manufacturers use natural ingredients in the production of their aftercare products. They don’t add any harsh chemicals or ingredients that could irritate the skin. These are the things you need to look for when choosing a product for your aftercare routine. We’ve compiled a list of some of the very best aftercare products available on the market. 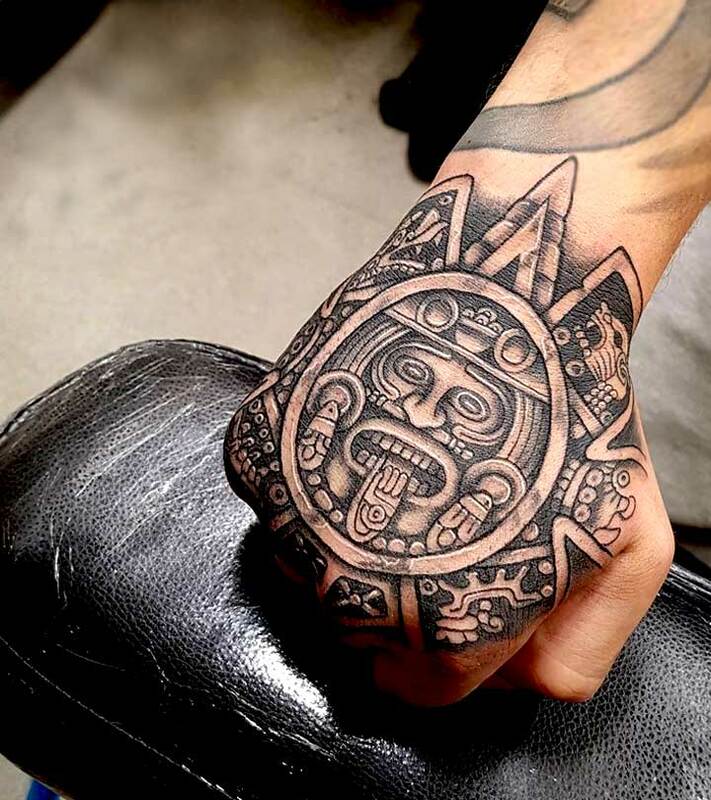 These are all great when it comes to healing tattoos, and users have rated them as being highly effective. 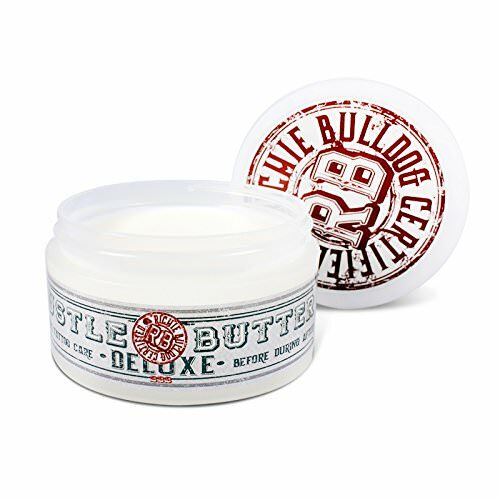 Hustle Butter is a great product, designed for tattoo aftercare. It is a vegan formula, made with only natural ingredients and it’s not tested on animals. This is a popular choice, and many tattoo artists recommend it. Hustle Butter helps to keep the tattoo well hydrated. It will also soothe the itching and irritation that you may experience during the healing process. This cream minimizes the risk of scabbing and helps decrease the healing time. It’s not too expensive either, so won’t break the bank after you’ve dropped some serious cash on your new creation. To use it, you must first wash and dry the tattoo using an unscented soap. You then apply a thin layer of the ointment to completely cover the tattoo. A twice daily application after washing is sufficient enough to keep the area well moisturized and healthy. There is also a version that’s designed for those who have extra-sensitive skin. If you prefer to steer clear of essential oils, you can opt for this alternative. All of the Ora products are gluten free as well as petroleum and paraben free. None of the products contain synthetic fragrances. This is a natural water-based product. It works through all the healing stages of the tattoo. The H2Ocean formula cleanses and gives the area nourishment, while simultaneously moisturizing the skin. The H2Ocean Care Kit is comprised of a three-step care process. For the first step, you cleanse the tattoo with the antibacterial soap. This will help to keep the tattoo clean and free from bacteria without drying it out. Use should use lukewarm water to wash, and only pat the area dry, don’t rub. Next, use the Aquatat ointment by applying a thin layer over the tattoo, as needed, for the first few days. Apply it each time after washing the area with the soap. You should do this twice a day, or three times at the most. Once you’ve completed the first two or three days of treatment with Aquatat, you can stop using it. You then need to switch to using the soap and the Ocean care moisturizing cream. Again, wash the tattoo twice daily, pat it dry and then apply a thin layer of cream over the entire area. You can keep using the Ocean care moisturizing cream for as long as you wish. You can also use it on your existing tattoos to give them extra care and attention. As soon as your tattoo artist takes the needle off your skin, the aftercare process should begin. They will clean it and cleanse the area and apply a layer of petroleum over it. Next, they will most likely wrap it up. The tattooist will then tell you how long to leave it covered. If the tattoo artist is working out of a reputable establishment, he or she will also give you some great advice on aftercare. Some tattooists may recommend a certain product to use and it’s often worthwhile taking their advice. They’ll receive lots of feedback from customers after having ink work done, so they can give the best advice on which products work well and which products don’t. When the cover is removed, you need to wash your hands with soap and water. Then, if you have a tattoo aftercare kit that contains a cleansing soap, use this to wash the tattoo area with lukewarm water. Make sure you pat it dry, and never rub it. 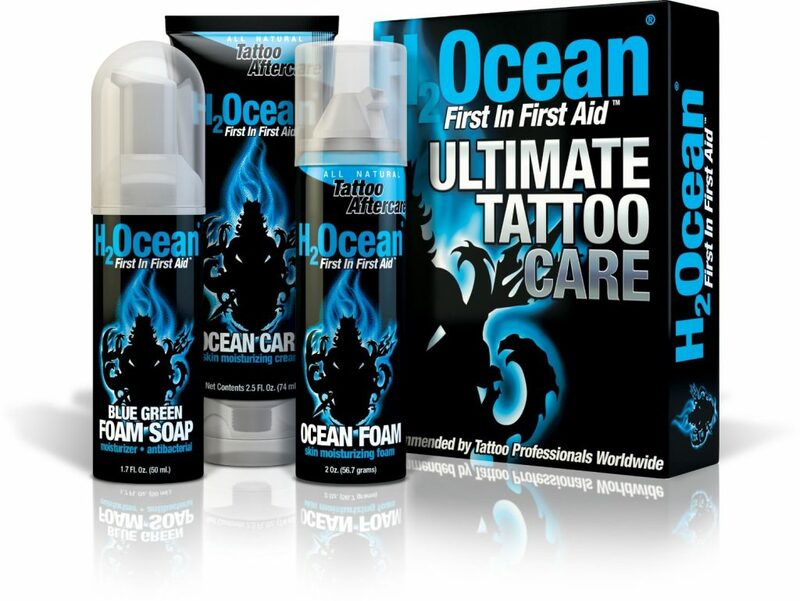 If you don’t have a kit with a cleansing soap included, it’s safe to use an unscented or antibacterial soap to wash your tattoo. 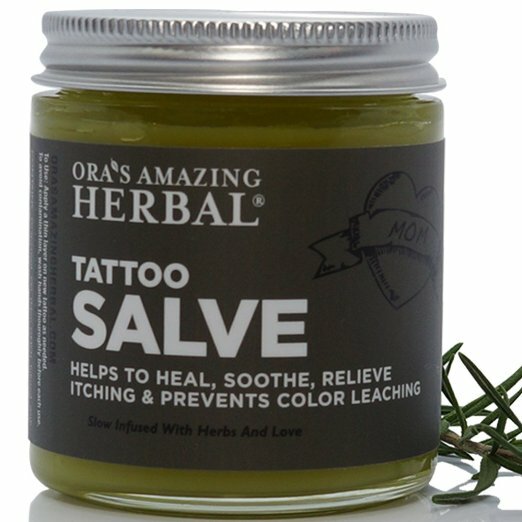 Once the tattoo is dry, apply the ointment you have chosen for your aftercare. You only need to apply a very thin layer, unless the instructions state otherwise. You don’t want to apply it too often, two or three times a day will be enough. Before each application, wash and dry the area first. Again, be very careful not to rub when drying the area. If you have some excess ointment you can’t rub in, then you will need to gently blot it off using a paper towel or tissue. Keep using the aftercare lotion until the tattoo has healed and beyond. Don’t pick off scabs or peeling skin. Avoid tight clothing over the tattoo. Don’t go swimming or immerse in water until it’s fully healed (it’s fine to take a short shower, but do not bathe). The bigger the tattoo, the longer the healing time will take, as your skin has suffered more trauma. If you notice any sign of infection or problems with healing, talk to your tattoo artist or doctor. If you want your ink to look good once it has fully healed, then this is not an area you can skip. As you can see from the information in this article, aftercare of your tattoo is important. 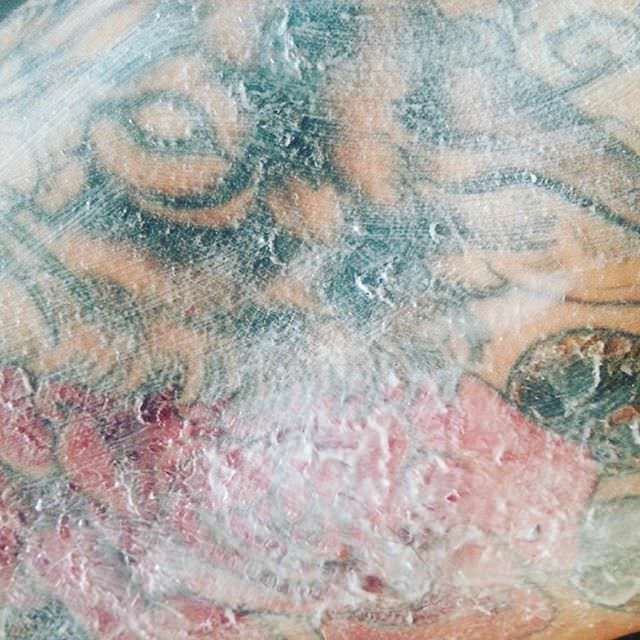 You want to do all you can to ensure your tattoo heals well and that the care reduces any risk of bacteria entering the wound that will cause an infection. Choosing the right products to use will help you achieve the level of care needed. There is good advice here on tattoo aftercare products that you can use, and we’ve outlined how to use them properly. Remember to take advice from your tattoo artist first, as they know what they’re talking about. They will also have seen the effects of bad aftercare.